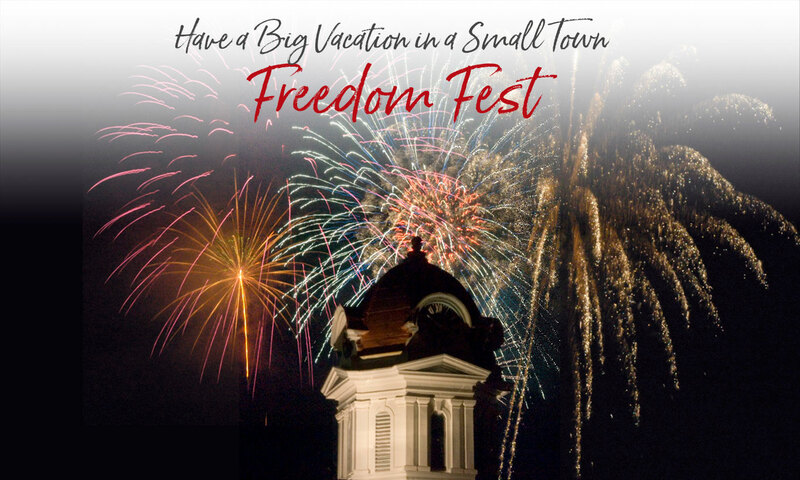 Come join us for an old-fashioned street festival in charming downtown Bryson City. Our annual Fourth of July celebration begins with the Rotary Club Firecracker 5K and then continues with 60+ local artisans and crafters with only handmade items, festival foods, and fun events including Kids Zone where you’ll find a multiple bouncy houses, a watermelon contest & more, and an evening of incredible, local entertainment. Even Fido is not forgotten – enter your best friend in the “Strut Your Mutt” event at Riverfront Park that awards ribbons for categories such as “Best Tail Wag” and “Looks Most Like Owner”. Enjoy a paddleboard or kayak rental from Bryson City Outdoors and float on the Tuckasegee River that flows through town. As the day wanes and the final band exits the stage, listen to The Star Spangled Banner as you view one of the most spectacular fireworks shows in the Smokies! 1:00 pm – 6:00 pm: Kidz Zone multiple bounce houses, refreshments. $5 wrist band for all-day play. 10:00 pm: Best Fireworks Show in the Smokies!